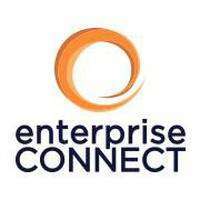 Enterprise Connect is an event unlike any other. I affectionately refer to it as the busiest week of the year. I attended 42 booked meetings and sessions in five days (Sun-Thurs), and who knows how many ad-hoc conversations between meetings and on the packed show floor. I no longer even attempt to do keynotes live any more. Actually, I prefer to watch the videos as I can rewind or pause the slides. The EC media staff do a great job with the video recordings. Overall, I thought it was a great event. Much better than last year, but that’s not saying much. Last year I got food poisoning, and I barely remember anything. This year things were pretty positive. There was really only one meeting that really irritated me. Rumor has it the frustration from that appointment was mutual (at least I showed up on time). And so it goes. I’ve now watched every keynote at least once as well as all of the Industry Vision Presentations. I have to say the bar was high this year. (one of each bothered me). When I set out to write this report, I wasn’t even sure I had enough to say to warrant a report (vs. a blog post). But, I did. Eight Pages of TalkingPointz. As usual, you can download the first two pages for free, but honestly they don’t say much. Page 1: Overview (6 Pointz), General Observations (6 Pointz), and Selected Announcements (7 Points and lots of Links). Page 2: Keynote Pointz – I tried to capture the basic flow (and pointz to) of each keynote. Two of five fit on Page 2. The premium version of the report continues on page 3 with the remaining keynotes and then similar (but more abbreviated) summaries of the Vision Industry Presentations. Page 4 is where my thoughts on the overall event begin. Lots of thoughts, 57 Pointz through to Page 8. These thoughts are organized into the following groups: General, Keynotes, Contact Center, Twilio Flex, Avaya Mobile Experience, and Final Thoughts. As the outline suggests, contact center was a hot topic at EC18. You can purchase the premium report here, but the better way to get it is to subscribe. The TalkingPointz Premium subscription has about 2o pieces of content per year. Want more? Listen to this EC18 podcast on BCStrategies – should post soon. Also, see this TalkingHeadz video where Evan and I talk with EC18 Co-Chair Eric Krapf. The next (planned) TalkingPointz research note will be on Cisco soon after its Collaboration Summit in April.